All this – done in the pool… add resistance with low to non-impact. This class is perfect for any body…. from teens to college students, middle age to seniors, and both women & men. 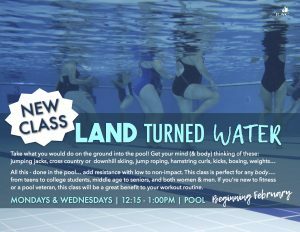 If you’re new to fitness or a pool veteran, this class will be a great benefit to your workout routine.